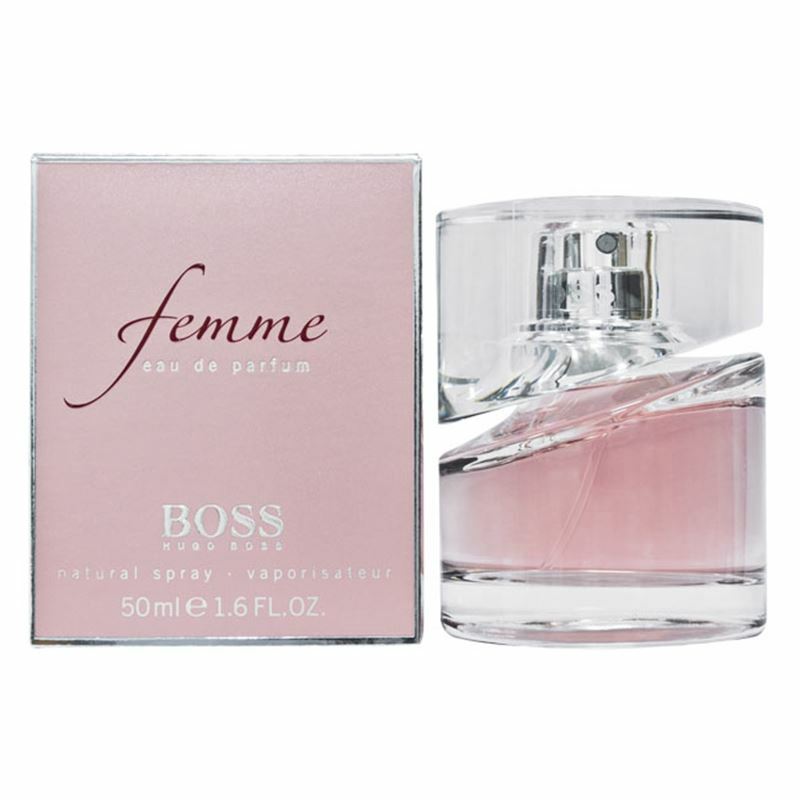 HUGO BOSS Femme edp spray perfume 50ml, the new interpretation of femininity, is a floral sheer oriental fragrance that represents ultra-feminine beauty. Complimentary ingredients form a radiant cloud of sophisticated femininity that is further heightened by Rose petals for a radiating floral aura of utmost femininity. Fortification of the aura with a creamy musk-like accord gives the scent a silky-smooth finish. HUGO Boss Femme is recommended for casual wear.